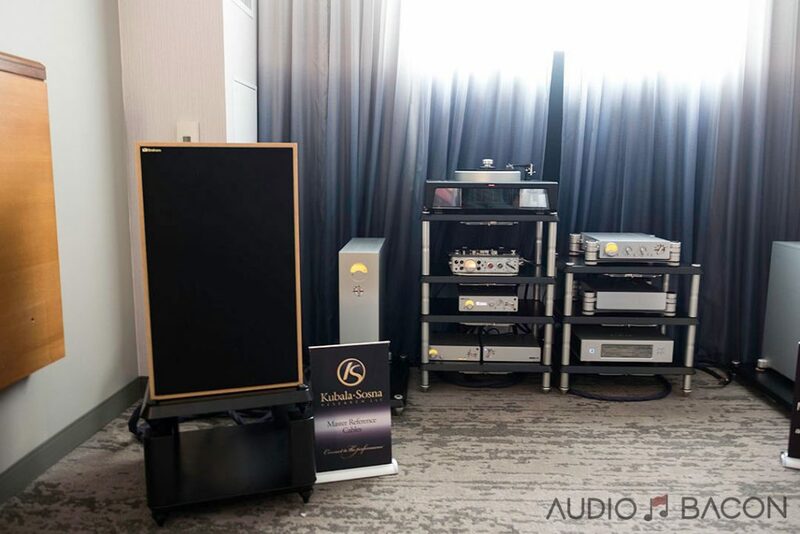 One glance at the layout of AXPONA 2018 and it became very clear that it would be impossible to listen to everything, nevermind revisiting rooms. With over 160 rooms, this show is frickin’ huge…appreciably larger any of my previous shows. 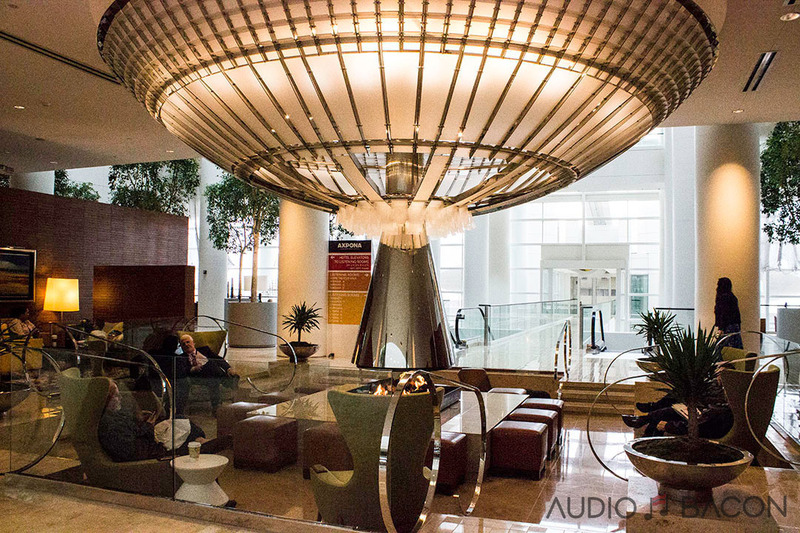 There were lines upon lines of perky ears at the elevators and inside of listening rooms. Quite a few of these rooms were also paying homage to Oppo with their modified players (RIP). As usual, there were many familiar brands and quite a few new ones I didn’t recognize. The hype was real. It could’ve been the alcohol but I felt less than 5% of the rooms sounded terrible. Now, many of them still didn’t time-align correctly so focus and imaging were off, but they still didn’t sound unbearably harsh or congested. 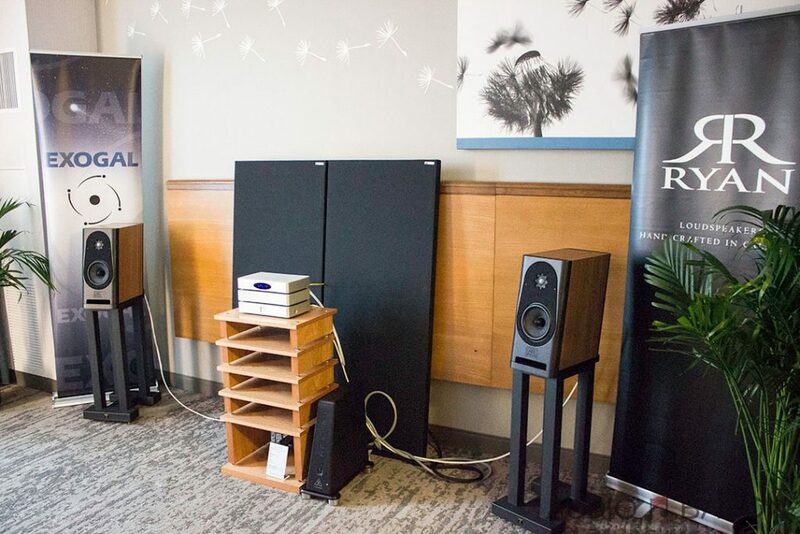 Given the constraints of these small hotel rooms, it takes a lot of time to set up these speakers properly so that in itself is quite an achievement. For Day 1, we hit the 7th, 16th, and 17th floors (plus Emotiva on the first floor) of the Renaissance Schaumburg. Let’s get to it. Since this hotel will be home to AXPONA for the next few years, figured this would be a nice heads-up. The very popular Wildberry Pancakes and Cafe restaurant is only a 10-minute walk away and was our go-to spot for breakfast. There isn’t much of a wait on weekdays but it’s about 1.5 hours on weekends. 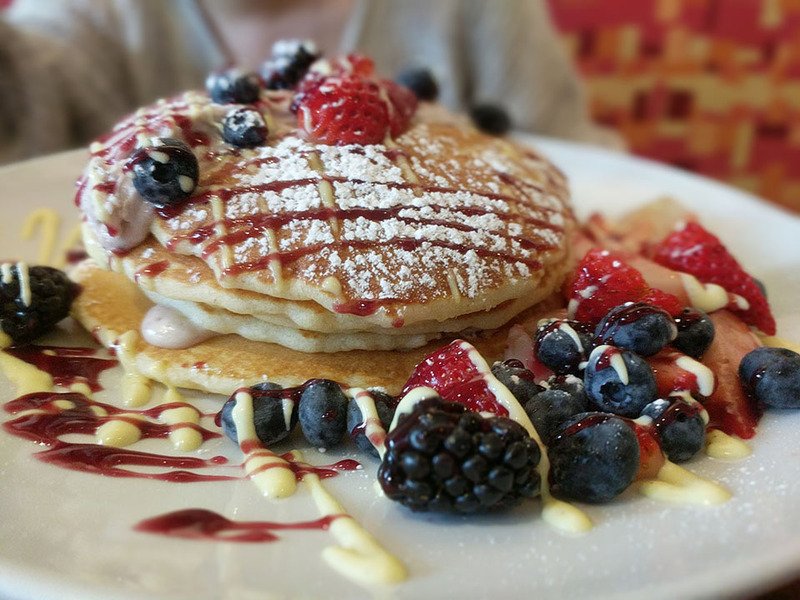 Luckily Yelp has a waitlist feature so join the list ahead of time so by the time you arrive, you’ll be seated. System comments are made in the first few pages and the rest will be an excessive amount of photos. I’m sure you won’t mind. 🙂 There may be some corrections as many of the rooms didn’t have a component list with prices (and some weren’t labeled). Please let us know in the comments and we’ll make the edits. Let the show begin! 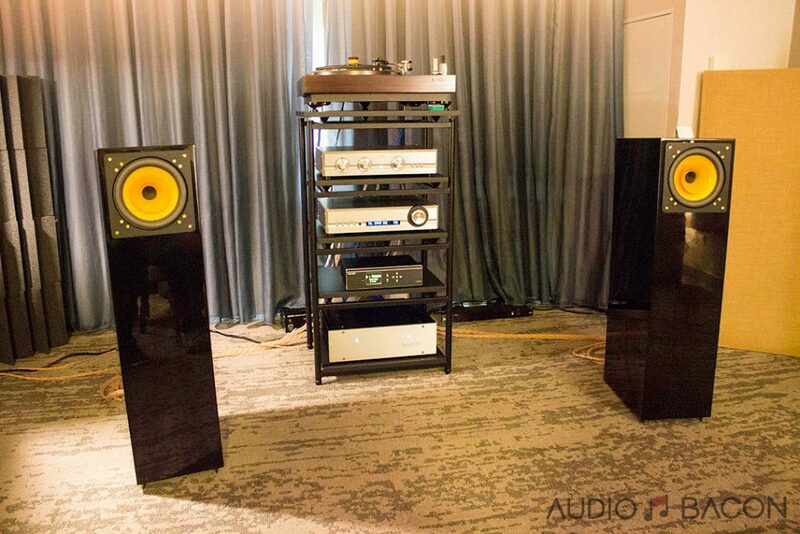 Room 718: Riva Audio. Alexa is stupid. 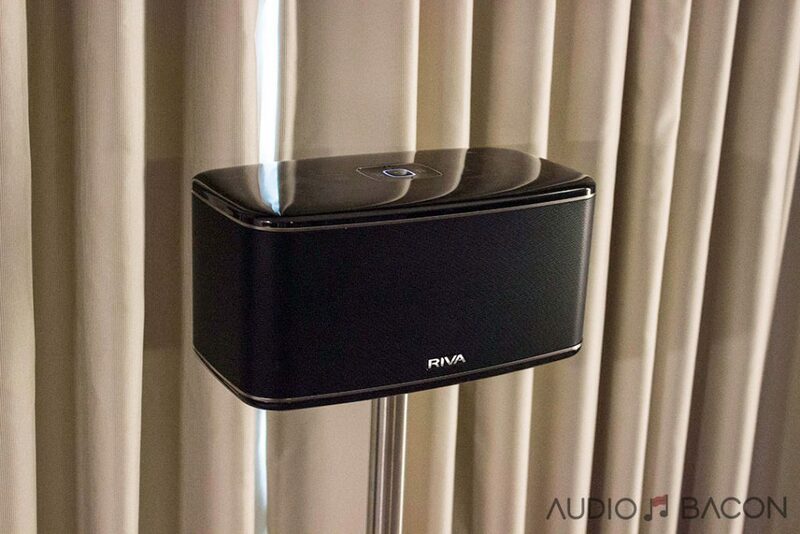 The Riva Festival ($499.00) packs a punch and works with the much smarter Google Assistant. 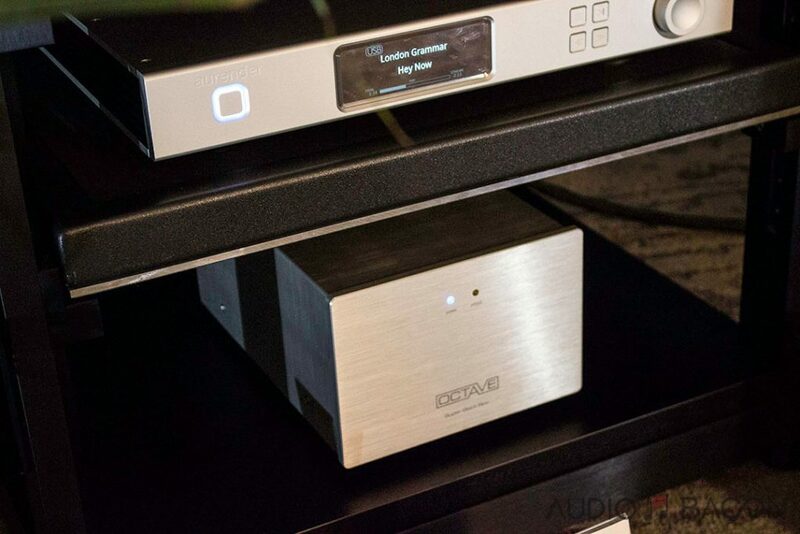 Could be used with for Wi-Fi streaming (Spotify, Chromecast), Bluetooth, Airplay, and DLNA. Nice room-filling sound. 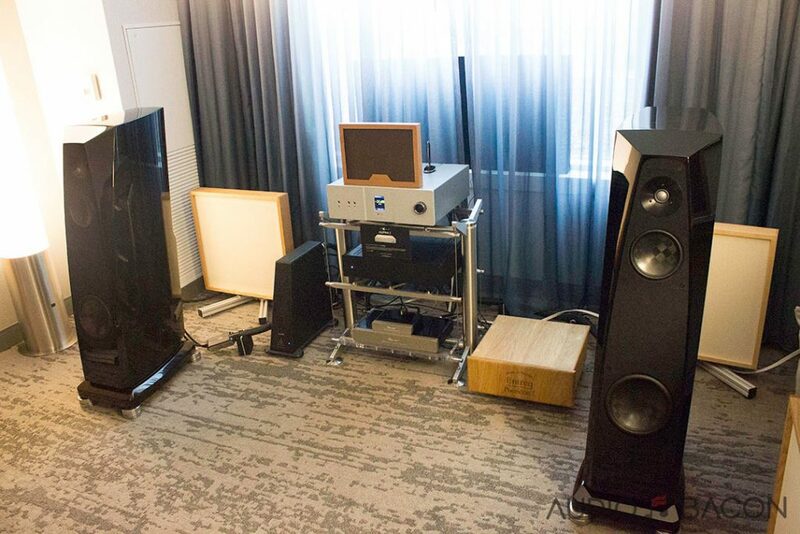 Room 721: Salk Sound, ANTICABLES, Bybee Technologies EXOGAL, Wells Audio. 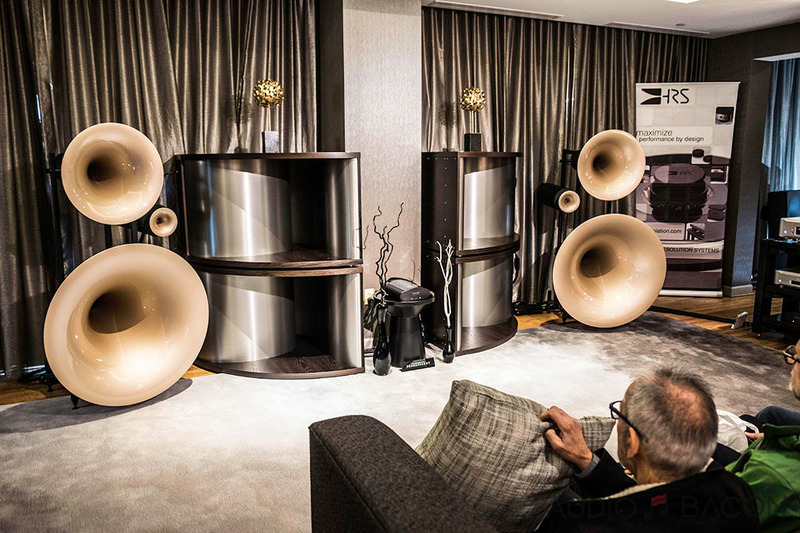 Great sounding room. The Salk Song3 speakers sounded quiet, resolving, and articulate. 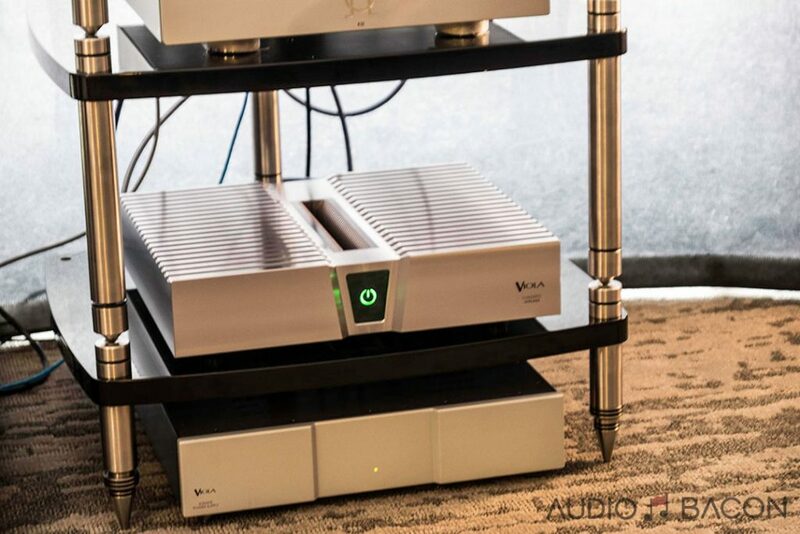 I enjoyed the tonality of this setup more than the Salk S3As + Schiit in room 721. Room 722: Ryan Speakers (model escapes me), EXOGAL, Wywires. One of the three rooms with the EXOGAL stack. Dynamic, rich, and textured. 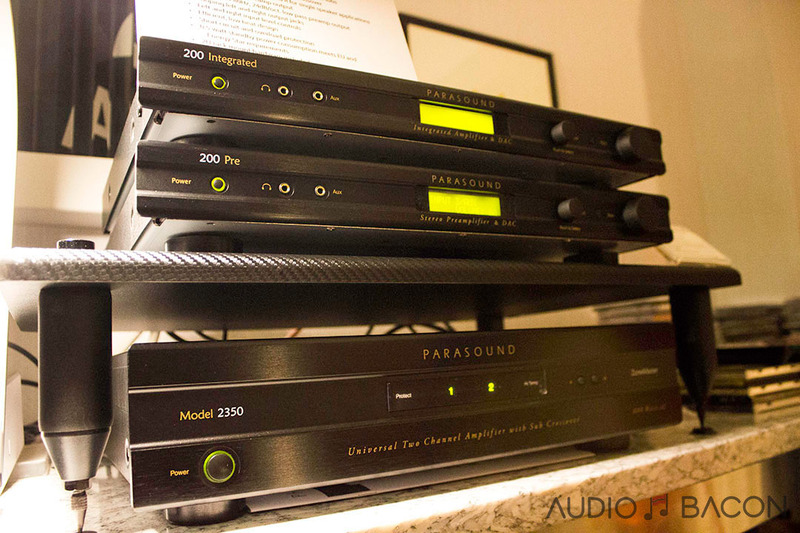 The EXOGAL X-1 streaming hub, Comet DAC, and Ion PowerDAC. One of the most interesting (and rare) arrangements at a show. 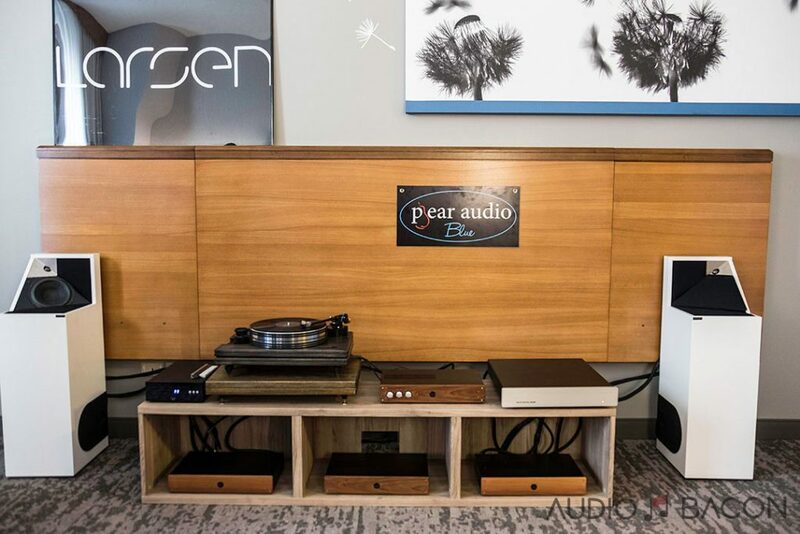 Three listening rooms (Rooms 722 – Ryan Speakers, 725 – PureAudioProject T$RIO10 Voxativ, 726 – Vehement Audio Brezza EOS) had exactly the same source, amplification, and wiring. The only difference being the speakers themselves. The commonality between all three systems is a nice balance of resolution and drive. 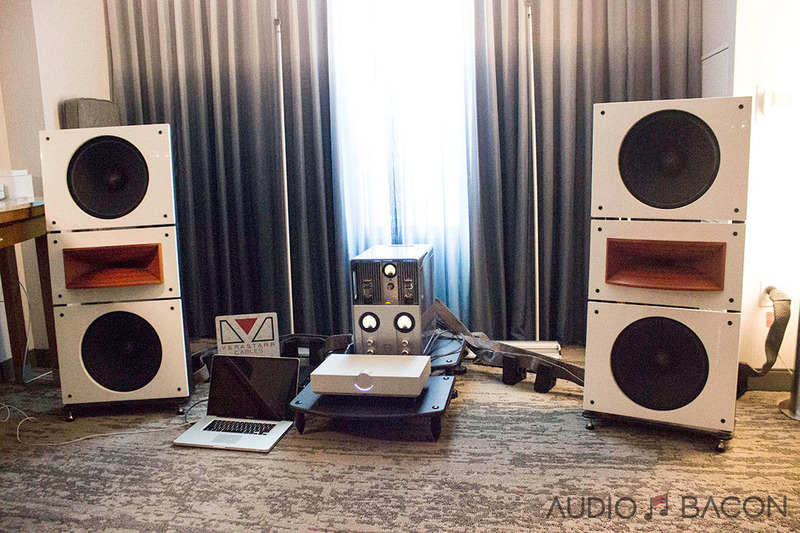 I was impressed this stack was able to drive these speakers with such ease and composure. For more information. 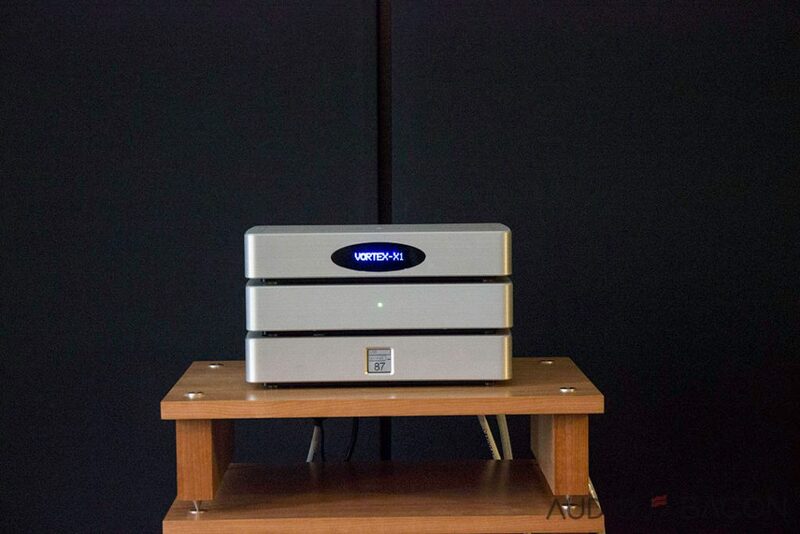 Vehement Audio Group Brezza EOS ($2,495). These speakers had a large and very resolving sound. 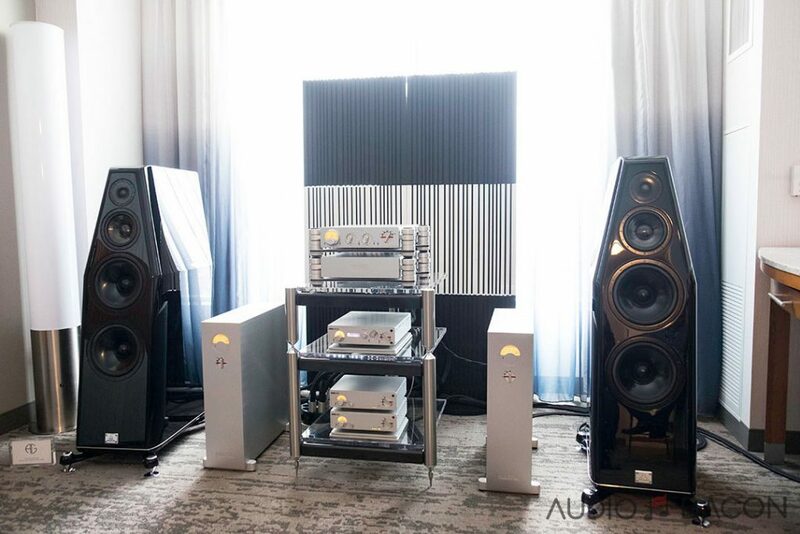 Room 729: Pure Audio Project TRIO15 Horn1 ($7,490), COS Engineering D1 DAC/preamp ($9,000), Verastarr cabling, Whammerdyne The Ultimate Truth 2a3 Amplifier ($13,000). Nice soundstage, macro-dynamics, and detailed sound. 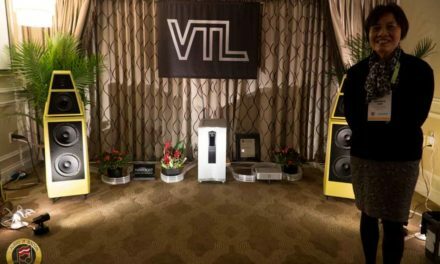 Room 710: VAC Statement 450S dual mono stereo amplifier ($46,000), VAC Statement Line preamplifier ($46,000), VPI Titan turntable ($39,995), Gershman Acoustics Posh speakers ($129,000). In my Top 3 sounds of the show. 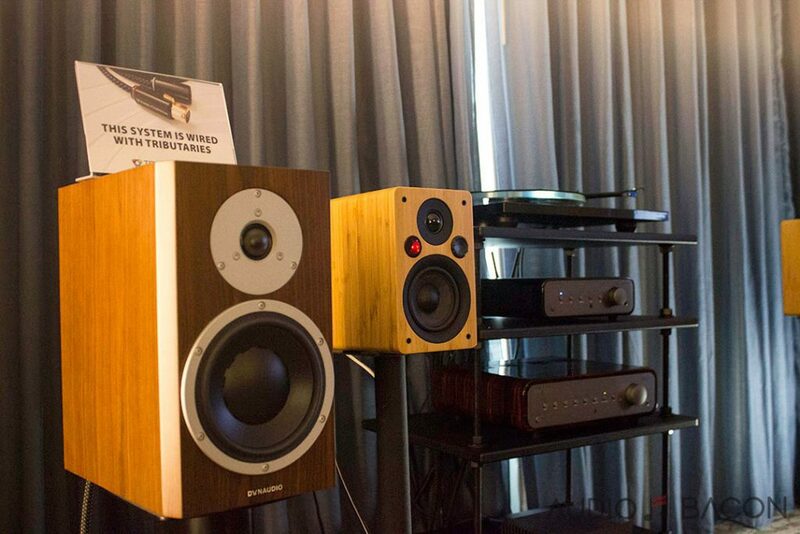 These speakers produce physically jaw-dropping sound. 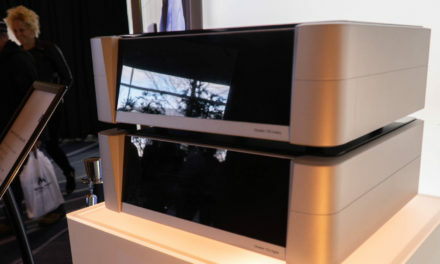 Tekton Design Impact Monitor ($2,000/pair). As always, not a fan of the looks but sounded good for the money. 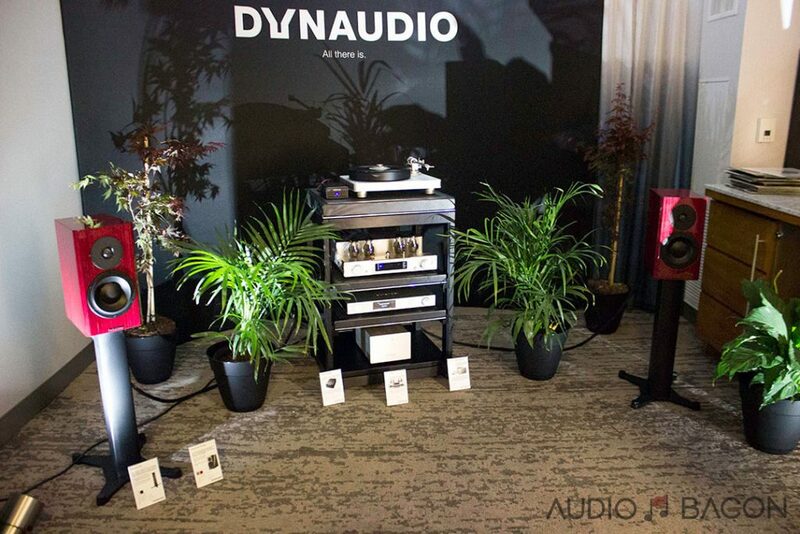 Room 734: Dynaudio Special Forty ($2,999). A somewhat polite sound with a touch of warmth. It has the right amount of low-level details and air while being very, very smooth. They’re also one of the most gorgeous looking pair of bookshelves I’ve ever seen in person. 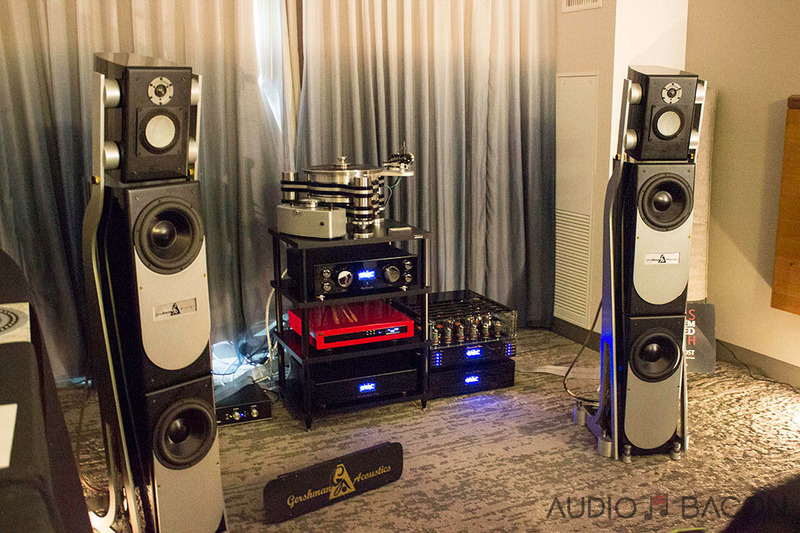 Room 743: Stillpoints, Entreq, Rockport Technologies, Shunyata Research, Telos Audio Design, Viola Audio Labs, Wolf Audio Systems. Stillpoint Apertures are everywhere at the show and for good reason. They help treat these difficult rooms with ease. Smooth, balanced, insightful sound. Room 742: Gayle Sanders Eikon & Aurender. There was a track played on this system with beads dropping and it sounded scary real (I’ll find the track). Active speakers are getting more and more attention. This was one of the very few rooms I revisited and it was worthwhile. These speakers are dynamic in its spectral presentation. Textured and fleshed out from the lows to the highs, I really enjoyed the sound of these. I also prefer the tonality of this set over the Kii Threes (but prefer the price of the Kiis 😉 ). Fun Fact: I believe the Lamborgini Miura SV (located in the Expo Hall) with his name on it, was the most expensive “piece” at the show. Estimated at ~$2 million, I was surprised it was unprotected. I couldn’t help but to gently grace my fingertips across its body. 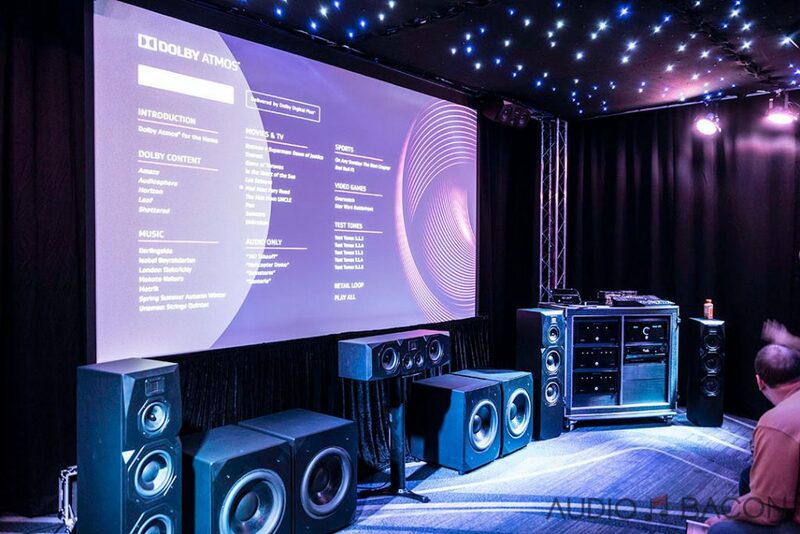 Breathtaking Dolby Atmos demo by Emotiva. This Blu-ray demo disc is pretty pricey on Ebay! Larsen 8 ($6,995/pair). Put them up against the wall! 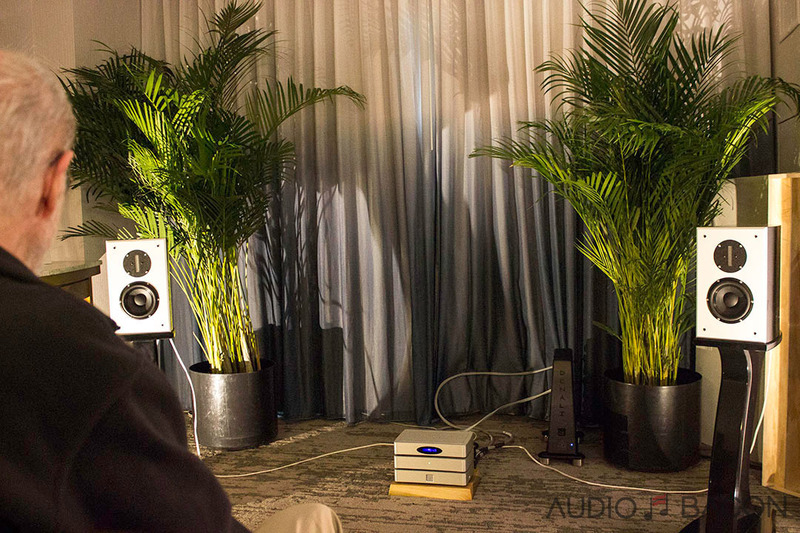 Room 1606: HHR Exotic Speakers TLS-1 ($15,000/pair). Soundstage was incredible. 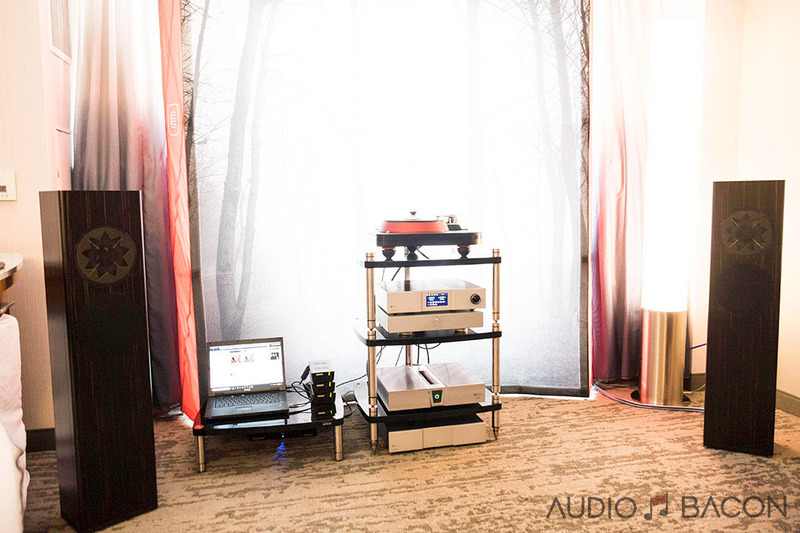 Room 1640: David Michael Audio, Aurender, Dohmann, Graham Audio, Kubala Sosna Research, Modulum, Nagra Audio, Phasemation. I had a great time chatting with the guys in this room. 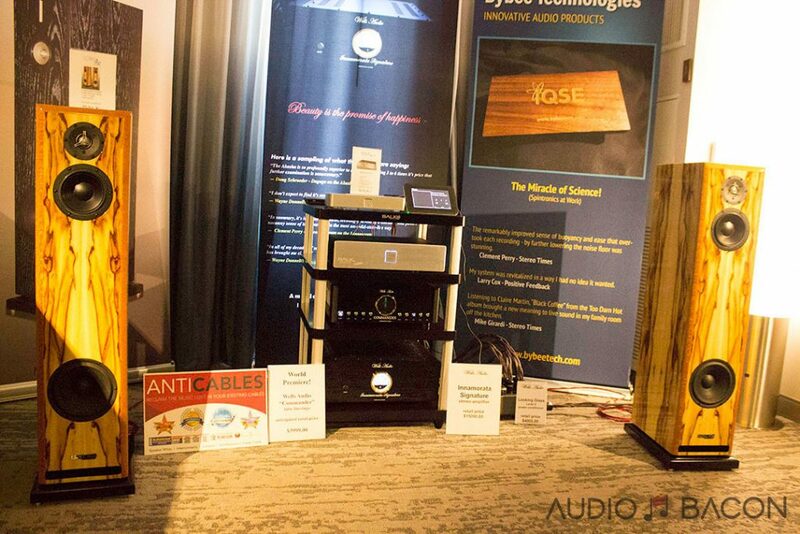 Kubala Sosna cables were at least 11 rooms at the show and they sound great. 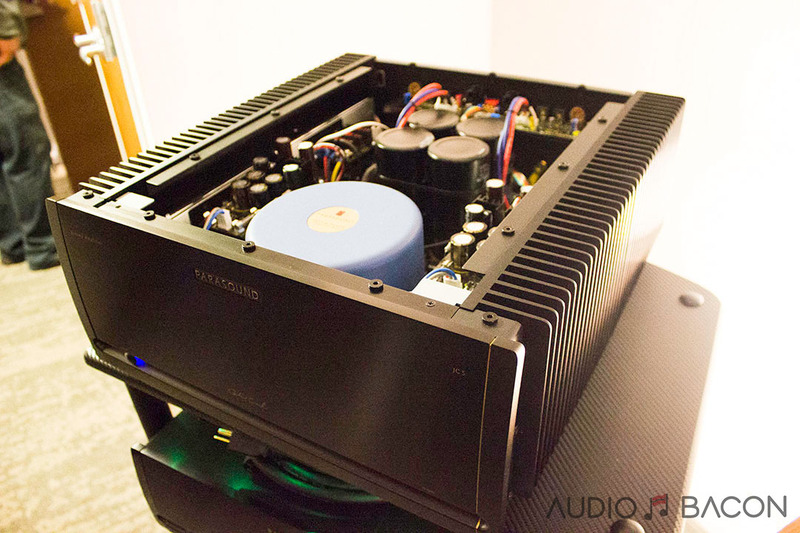 The Graham Audio BBC LS5/8 ($13,795) had a euphoric fullness and some of the best textures at the show. 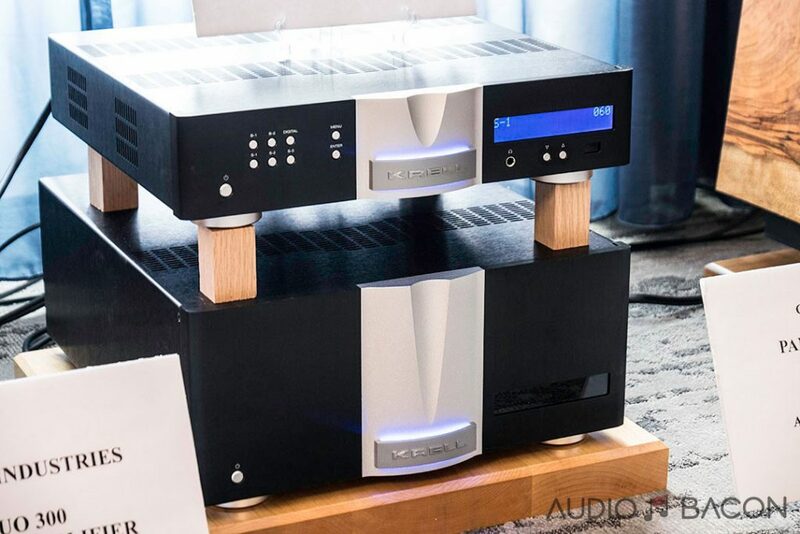 Definitely one of the best sounding systems at the show. Room 1642: Musical Artisans, Argento Audio, Kharma speakers, Nagra Audio, Organic Audio. Another great sounding Nagra setup. 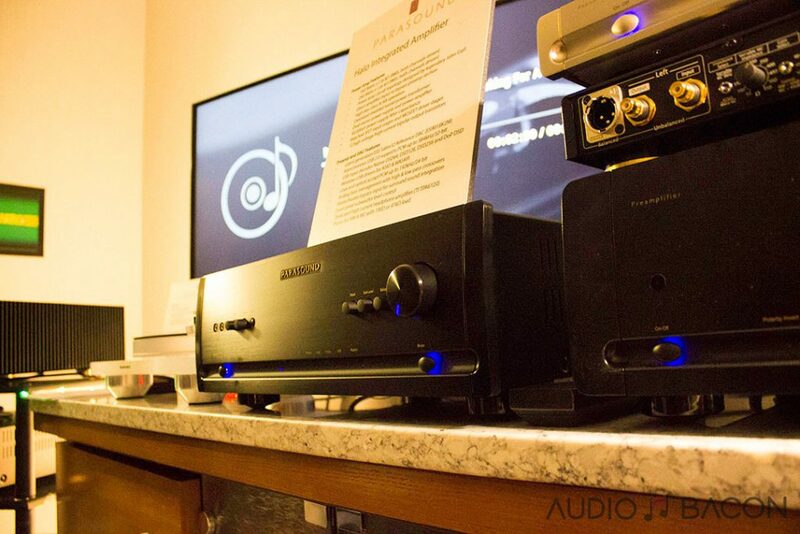 Quieter and more energetic than the Graham Audio LS5/8 with a nice balanced and revealing sound. It does, however, sound a bit confined in this space. 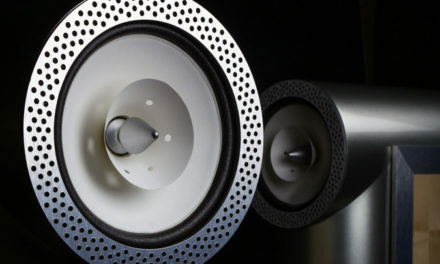 The CORONA LINE of MBL speakers: Speakers disappear and you’re enveloped in sound that just makes you smile. It’s compelling. 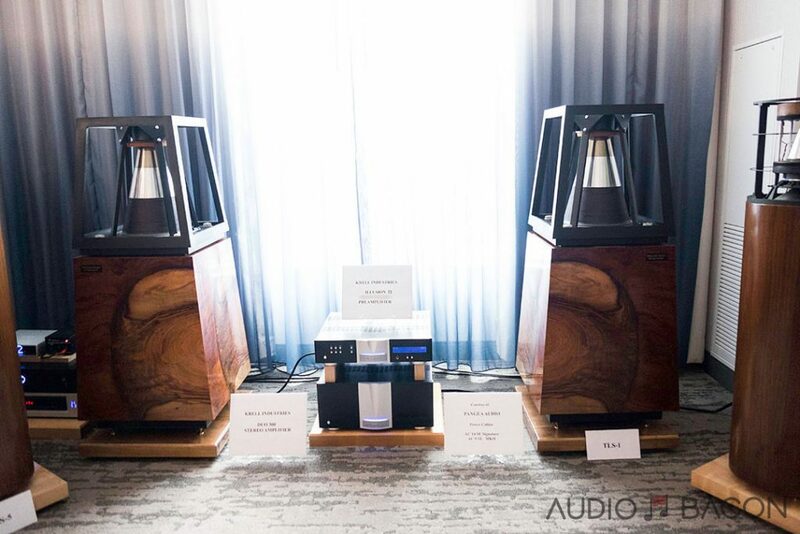 Room 1643: NOLA introduces Contender S3 ($6,900). Nice midrange accompanied by a properly pronounced top-end. Simplistic yet natural. Room 705: Refined Audio, Cube Audio F8 Magus speaker ($9,900) and First Watt F7 amplifier ($3,000). One of my favorite setups at the show. Clean, pinpoint imaging, fantastic layering, and FAST. 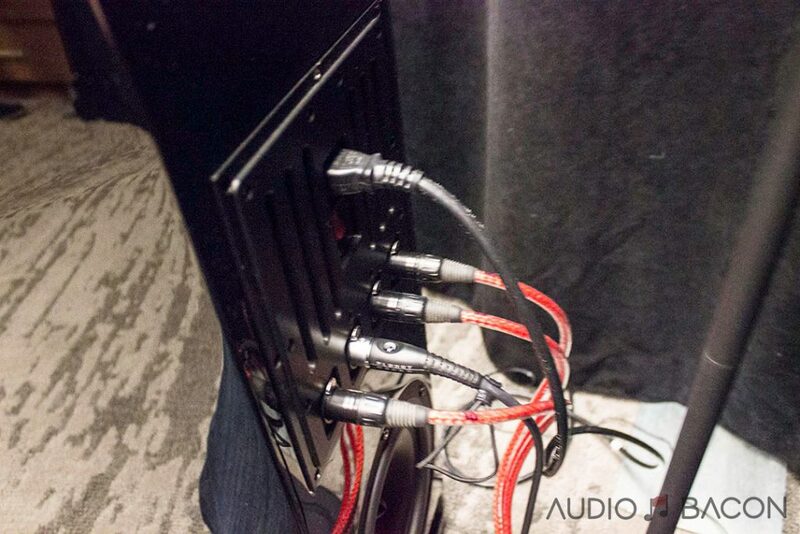 I see the stack of Exogal equipment driving the Pure Audio Project Trio 10. Any recollections or thoughts on that combination? 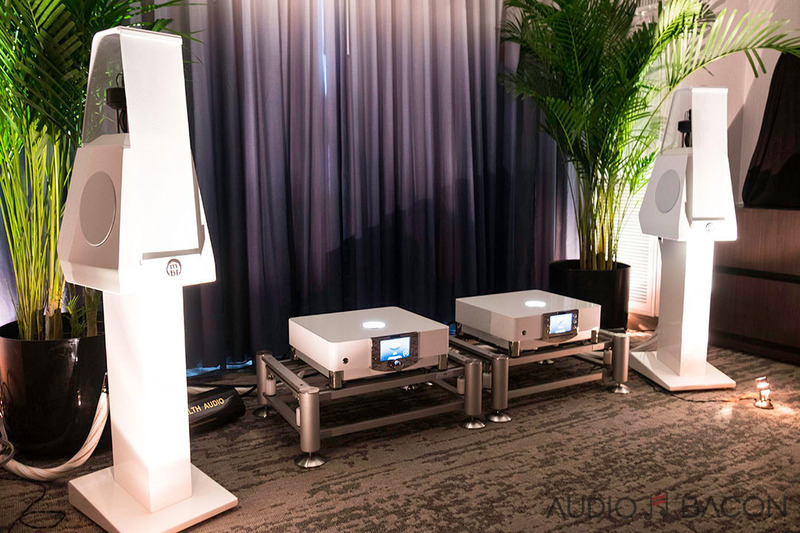 My first thought was “It was between the other two (tonally) with a taller, wider sound.” Definitely had more incisiveness in the treble region but balanced overall. Jay, thank you for the kind words and I’m glad you had fun in our room. We pride ourselves on making this amazing hobby about music and relationships. Just one minor correction. 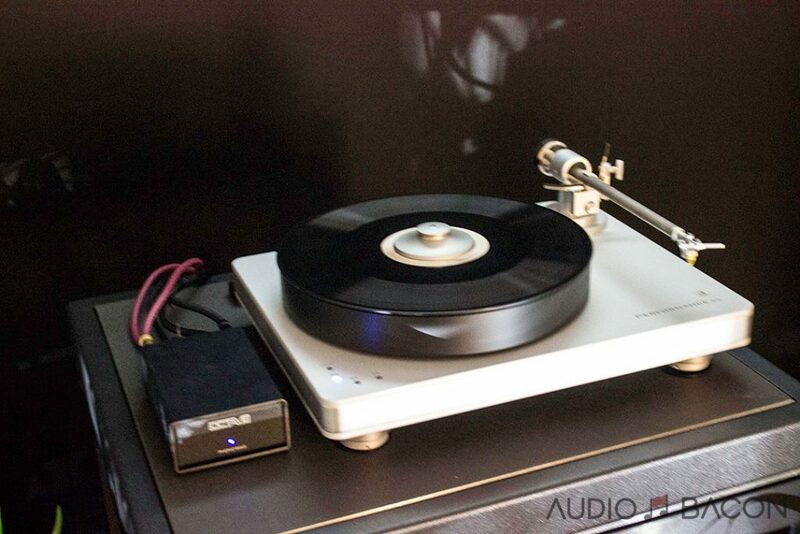 The Graham LS5/8 retail for $13,795. Still a steal! Great pics Jay. That is one huge amount of stuff to cover. I especially like the big Avantgarde system, makes the old Klipsh folded corner horns I remember look downright conservative in design and appearance. The W.A.F. would have to be a negative number. 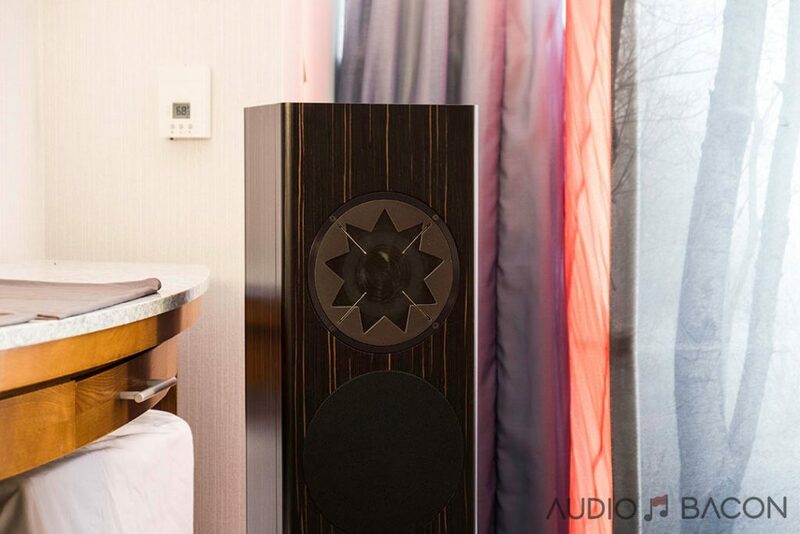 Jay, thank you for including us in the AXPONA Hit List, and for visiting our room. We greatly appreciate your positive comments about our Pneupod show demonstration. 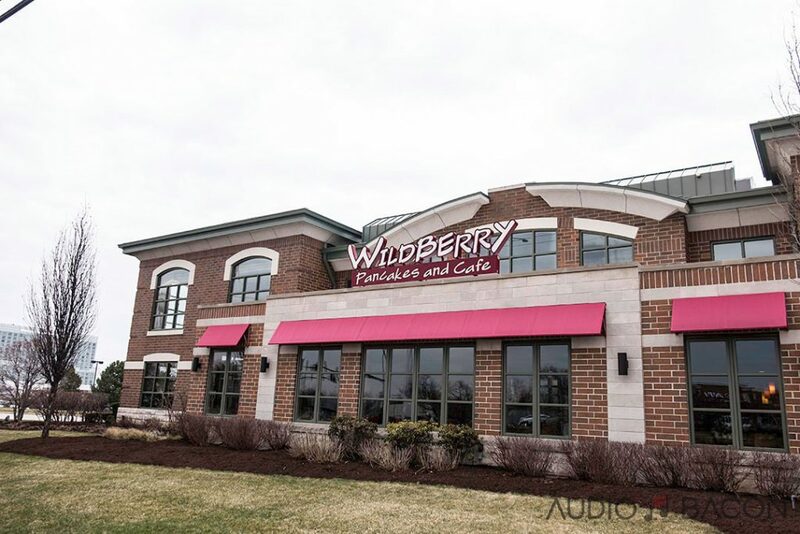 Thanks for stopping by and listening to our system. We really enjoyed putting together a compact package for the small space. PMC’s are known for their big active products, but we wanted to show the smaller side. It was very entertaining to play everything from our music catalog and see the response. 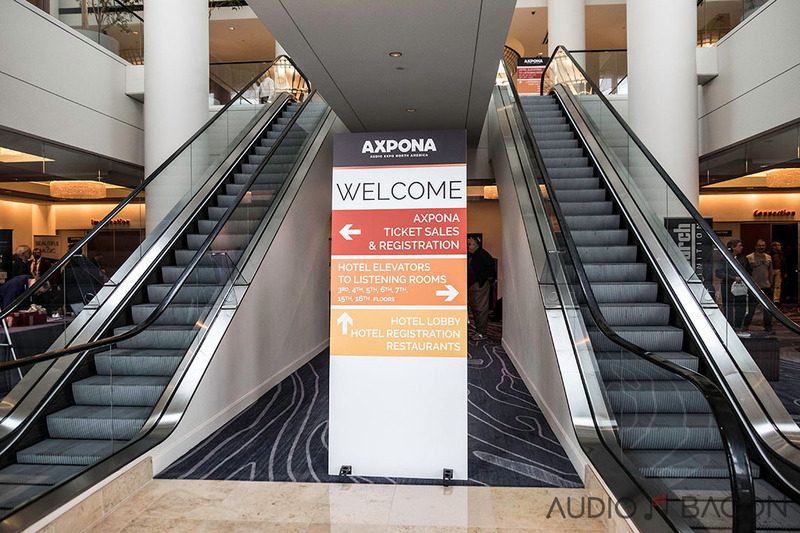 This is truly the best recap of AXPONA that I’ve seen so far. Thanks for all the descriptions of the rooms! 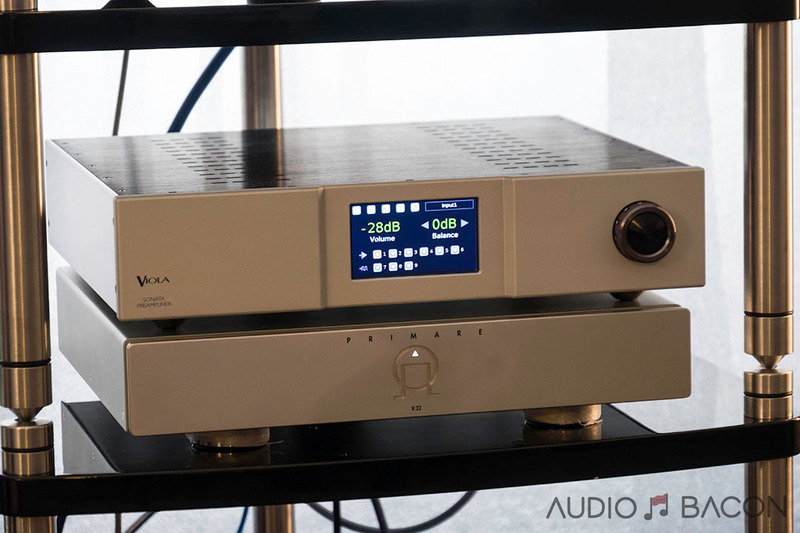 Any impressions on the sound of PMC Twenty 26? 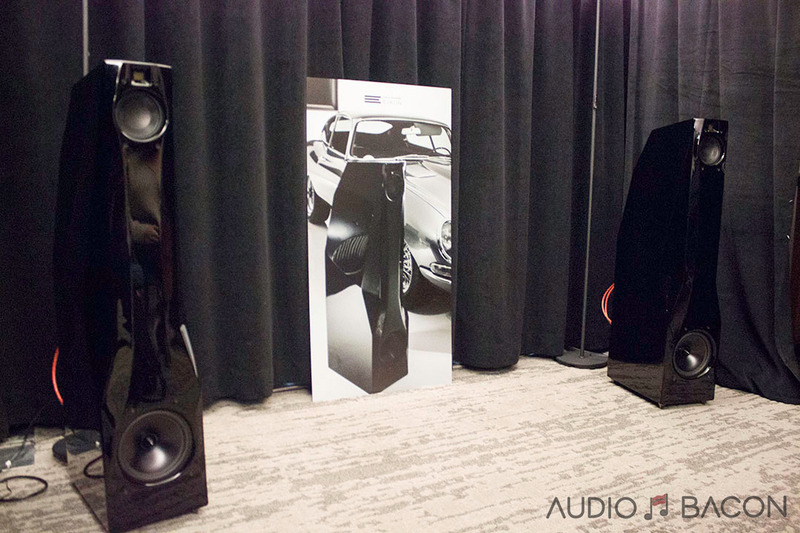 Also, how did the Magico A3s fare compered to similarly sized and shaped speakers? I only heard the 23s. 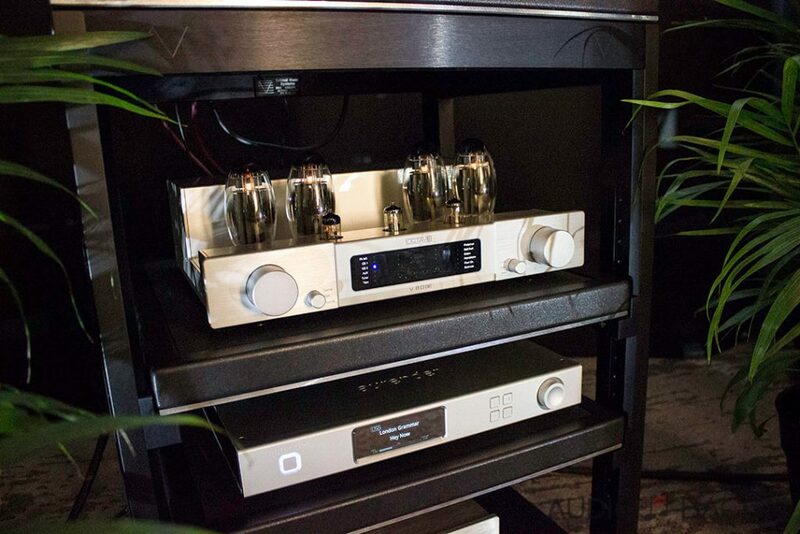 Both aim for neutrality but I felt the Magicos had slightly more warmth and density over the PMC 23s. 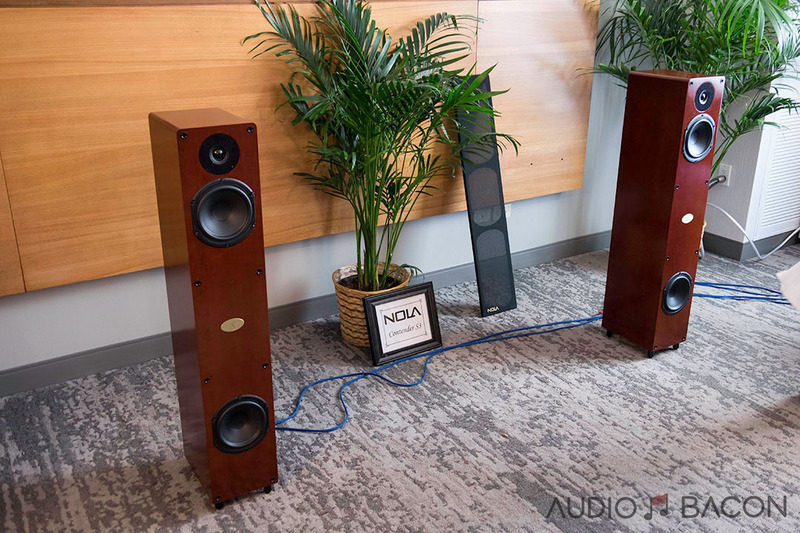 The smaller PranaFidelity speakers are not the Fifty90. They were the Bhava or something like that and they were just under $5,000. They are amazing speakers! I’d love to own them. Thank you for the correction Dave! They look almost identical. 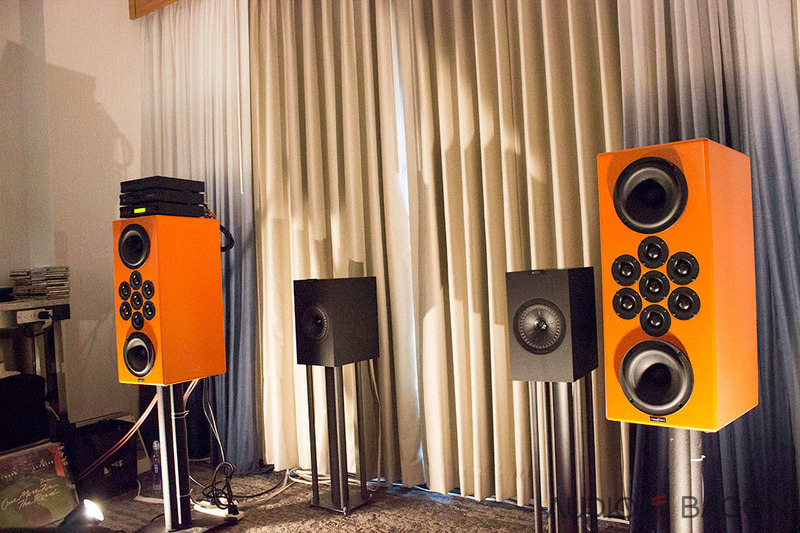 The room wasn’t optimal for these speakers but they still sounded great.